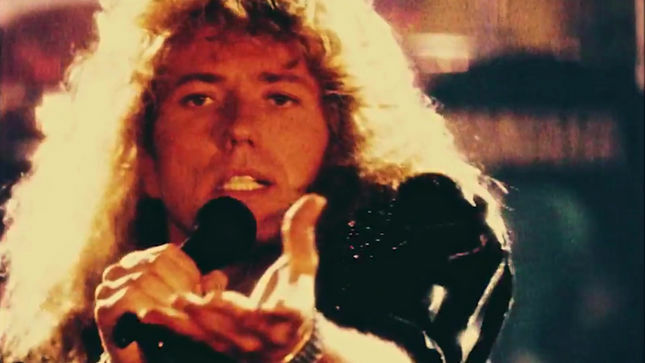 Whitesnake have released a video for the 2017 remix of their US No. 1 smash, “Here I Go Again”, ahead of the October 6 release of multiple editions of an expanded 30th Anniversary reissue of their classic 1987 self-titled album. The clip – which features vintage footage of the group on and off stage – presents an early draft of the tune as featured on a disc entitled “Evolutions 87”, which delivers a series of demos and rehearsal takes of every song from the original record. The 4CD/DVD "Whitesnake: Super Deluxe Edition" includes the original album with newly remastered sound, unreleased live and studio recordings, classic music videos, concert footage, a thirty-minute documentary, a 60-page hardbound book that's filled with rare and unseen photos from the era, an extended essay based on new interviews with frontman David Coverdale, plus a booklet of the album's lyrics, handwritten by the rocker.